We can order meals on APP, book the hotel on APP and even make transactions on APP. Lance is a man who keep closely up with the pace of technology and science. He likes shopping, ordering meals and traveling on/via the APP of his mobile phone. Therefore it is understandable that he usually regards those out-of-date devices, most of which cannot be connected into his phone. In addition, he is fond of the two-wheel electric self-balancing scooter. However, it is absent of the technology of connection into the mobile phone so he had not bought it. 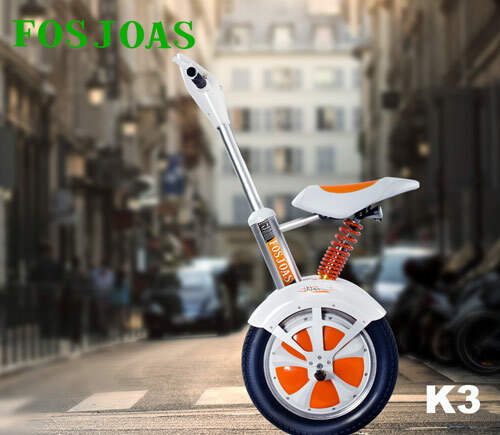 Recently, FOSJOAS rolled out a state-of-the-art model—K3 which can be connected into the mobile phone of the owner. This a highlight of K3 naturally allures Lance into buying it online. Last week, Lance indeed bought it and it arrived at his house the day before yesterday. After starting up FOSJOAS intelligent two wheel electric scooter K3, Lance quickly tried to connect his mobile phone into FOSJOAS K3. Firstly, he downloaded the APP online. The APP especially used for FOSJOAS K3 is complete free. Shortly after the set-up of the APP, Lance activated it and the harmonious interface looked comfortable in terms of colour. Lance likes it very much. On the APP, Lance had a go at the function of lock/unlock. When he taped the button of lock on the APP, his FOSJOAS K3 was locked in no time. No now can move it at will. When he clicked the button of unlock, the scooter was able to move soon. At the same time, the APP has the ability to locate the FOSJOAS K3. With these functions, Lance will not be concerned about the theft. Moreover, other functions like speed limit and overall data of status of the scooter also appeal to Lance. Lance smells the sign that the sector of scooter is making a stride now.